An academic post exposes you to the world of medical research. You will become a better GP and contribute to the greater understanding of medicine. And you’ll have our support the whole way through. We encourage interested GP registrars to combine their clinical training with academia. We have had more than 20 registrars complete academic posts in the past seven years. We’ve got a lot of experience in advanced academic posts. We have three universities in our region, and they’ve all had academic registrars frequently, and we have a really good relationship with them. It works really, really well. Why do an academic post? Research plays an important role in contributing to our understanding of health and medicine. Taking on an academic post provides you with an opportunity to develop your research skills and eventually pursue other career paths within general practice, such as academia, research or teaching. Academic posts are highly relevant in your daily life as a GP too. Your decisions will be made based on evidence. You’ll need to quickly sort and analyse a plethora of information available to you to help your patients. There are other opportunities associated with taking an academic post. We offer registrars placements on GPTQ’s research committee. AGPT also awards an annual Registrar Research Prize, inviting the winner to present their research at a major conference, with travel expenses of up to $3,000 reimbursed. What does an academic post involve? An academic post involves completion of a research project plus teaching and project work related to general practice. It encourages you to incorporate academic work in your future career. You can take up an academic post in a rural, regional or urban environment. An academic post is the equivalent of six months full-time study, but usually takes 12 months as it’s completed alongside your GP training. Registrars completing a fellowship with RACGP have the option of doing an academic post as part of their Extended Skills placement. However, you can also choose to complete academic post ‘elective training’. This means you can do an academic post in addition to an Extended Skills post. If you are doing an academic post as extension to your training, you must have successfully completed at least GPT1 (General Practice Term 1) of your core vocational training. Find out more about about RACGP’s academic posts on their website. 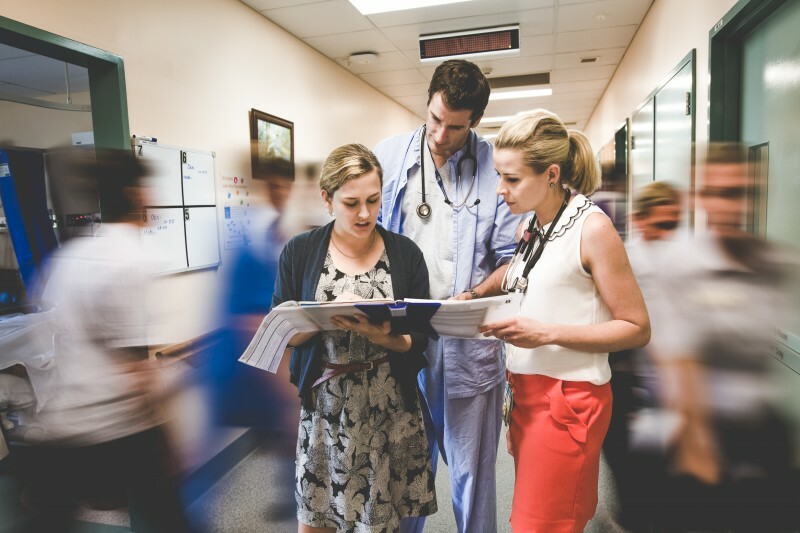 Registrars completing a fellowship with ACRRM may undertake Advanced Specialist Training in Academic Practice. This 12-month post combines academic experience with clinical workload. You can find out more by downloading ACRRM’s Curriculum in Advanced Specialist Training in Academic Practice. All registrars undertaking academic posts must do so concurrently with their clinical practice duties as required by their relevant college. Applicants are selected into an academic post based on merit against criteria set out by the relevant college. All Australian registrars currently enrolled in the AGPT program are eligible to apply. However, you must have completed at least six months of your core vocational training. You’ll need to be completing your fellowship with RACGP or ACRRM. There are opportunities to complete an academic post via both the Rural Pathway and General Pathway. You are not limited by your training location. Where can you study an academic post? Most of our registrars study academic posts at Griffith University, University of Queensland, and Bond University. However, GPTQ registrars can undertake an academic post at any university in Australia. That means you can take part in projects outside of our training region. How can GPTQ help me? We’re available to guide you through both the application and research processes. With a strong supportive team of medical educators, we’ve helped many registrars successfully complete academic posts across Queensland. Our medical educator Dr Ben Mitchell specifically supports registrars undertaking an academic post. He is passionate about research and academia and can advise you on your academic ambitions. If you’re considering an academic post, we encourage you to contact us at gptq@gptq.qld.edu.au. We can help you make your decision. Expressions of interest for academic posts usually open in June each year. Keep an eye on our calendar for key dates. If you’re considering applying for an academic post, it’s important to discuss your intentions with your medical educator. Your proposed project must be relevant to general practice. There are strict requirements for research projects. The project needs to be based on current issues involving clinical practice, health service delivery, medical education or policy. If your project can address national health priorities, a gap in current knowledge or create an innovation in the general practice field, you may have a better chance of selection.